It's time for Monday Made It! 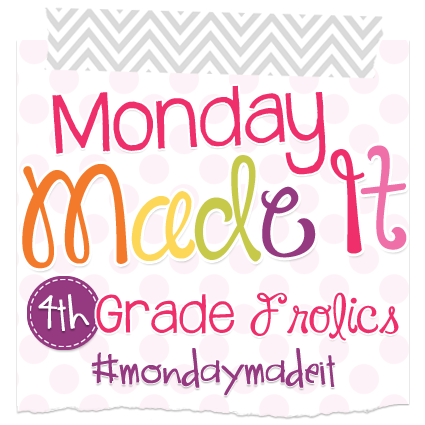 I'm linking up again with Tara from 4th Grade Frolics. I made a school related project! Yay! The first of the summer! Here is a scenario that happens monthly with me. I find a paper in my teacher mailbox saying that it's time for me to choose my next student of the month, and turn in it by this Wednesday, thank you very much. I think about who I should pick, and I try to find my list of students that I have already chosen, so I can pick a different student. I can't find my list, so I put the paper on my desk and forget about it for a few more days. Before I know it, it's Wednesday and someone is walking in my room, right in the middle of instruction, asking me for that student of the month paper. AHHHHHH! I still don't know who I should choose! So I find myself asking the students, "Who has been student of the month already?" HELP! I needed to get better organized! So I decided to make a poster that will display all the students of the month for the entire year. I thought that posting it in the classroom will be an incentive for my students to stay on task, in addition to reminding me who has been chosen. 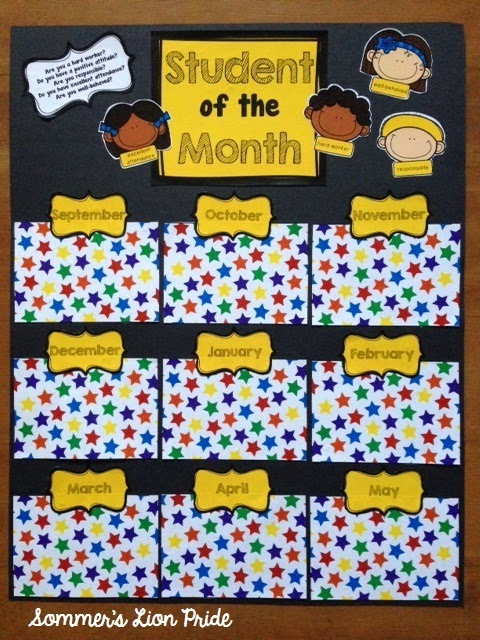 I am planning on taking a picture of each of the students of the month and then posting them in each starred rectangle. All ready to be laminated! ***Updated 5/2015 - I just added this to my TpT store. Click above to go to see more. Did you know that yesterday was National Ice Cream Day??? Well, look at this creation!!! I made a volcano out of ice cream! I found the picture in an old Family Fun magazine and thought it looked like fun! Invert the ice cream carton upside down onto a plate. It is easier if the ice cream is a little soft. You can run warm water on the outside of the carton, which loosens the ice cream from the edge of the carton. 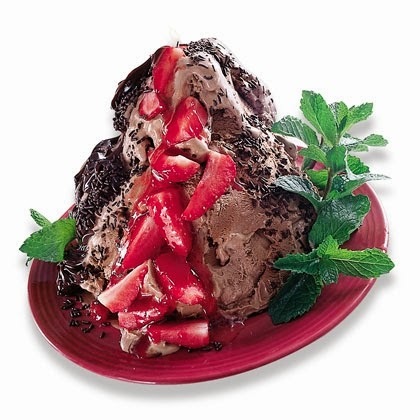 Use a spoon to shape the ice cream into a volcano shape. Place chocolate cookies into a plastic bag and smash with a rolling pin to make crumbs. Sprinkle cookie crumbs onto the ice cream and add chocolate syrup if desired. Use strawberries to create a "lava flow". Add mint sprigs. 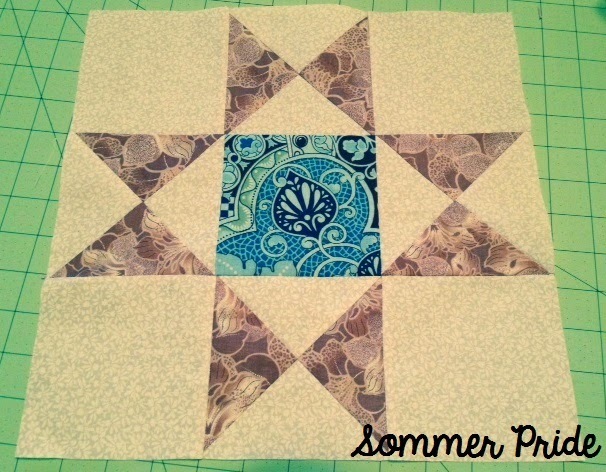 And here is my quilt update! I made a few more blocks! You can see the other blocks that I have finished HERE. OMG to the volcano of ice cream!!! I know!!! Gotta love it! Your Student of the Month scenario sounds just like mine...I'm a mess. I definitely need to make a poster like yours! Plus, it will spotlight those students who earned the title of Student of the Month. I think the poster will work great! It's a simple idea, and it's so silly that it took me this long to create it! Your ice cream volcano looks delicious and I LOVE LOVE your student of the month board! Thanks Shyra! 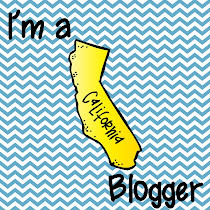 I am really having fun this summer with all of my creating! HOW DID I MISS NATIONAL ICE CREAM DAY? I am kicking myself....your creation looks delicious!!! Haha! Don't worry, you can "celebrate" ice cream day any day you want! I usually "celebrate" every few weeks! YUM. That ice cream volcano looks amazing. Hmmm . . . you are having a lot of fun! I thought your student of the month post was about me. LOL. That's a really good idea to help you stay on top of it. I try to reflect on the previous year and fix a couple of things that just did not work for me and that is definitely something I need to fix! The secretaries will appreciate it. The ice cream looks OH-SO-GOOD!